Technology has made our lives easier & healthier than the life which our forefathers lived! How kitchen can be an exception here? Today’s gadgets not only help to eat healthy but also look more stylish and pretty slick to suit a smart lifestyle and that too with the help of your modern kitchen! These days many smart kitchen gadgets are available in the market which make cooking easy, speedy and with added fun! The kitchen is the heart of a home. A smart kitchen is a prerequisite for a smart home. We live in a digital age, where everything is connected with the Internet. Internet of Things is transforming your home into a smart home. Internet of Things (IoT) is a giant network of connected physical devices, vehicles, home appliances, other items and we than collect and share data about the way they are used and about the environment around them!. In this article, we have discussed how IoT is making smart gadgets which are turning ordinary kitchen into a smart kitchen. Smart Frying Pans – Monitor the progress of cooking of food with a mobile app. 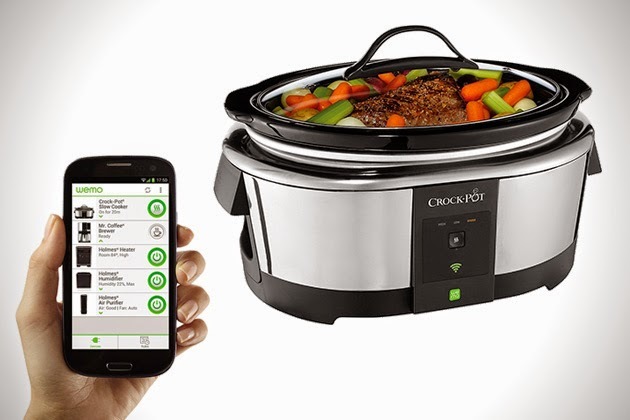 Smart Cookers – Control cooker with a smartphone. Refrigerator Camera – Order or purchase with the help of camera in a refrigerator. Smart Spoons and Fork – Improve your eating habits and lose weight. Smart Weighing Scales – Make adjustments in the recipe to get the perfect taste. Nutritional Value Indicators – Monitor your calorie intake easily. Smart Cups – Stay hydrated and control your calories by using smart cups. Smart Coffeemakers – Click once, and your perfect morning coffee is ready. Smart Storage Containers – Store food for longer time and reduce the kitchen waste. Automatic Roti Maker – Make rotis of your choice from a remote. and many more devices which are making our tasks easier. Here we have given ideas about 10 smart kitchen gadgets, which will make your kitchen and life style smarter. Smart frying pan is an essential gadget for a smart kitchen. It monitors the progress of the food while cooking. It can be connected to a smartphone via a mobile application. A user will be able to control the temperature of the pan and monitor it remotely. The application also displays the ideal time when the food is cooked and is ready to be served. A smart slow cooker is an ideal smart gadget for couples who are working and arrive home late at night. This smart kitchen gadget can be controlled from anywhere through a smartphone. The ingredients of the meal are to be prepared and kept in the cooker. The cooker can be controlled through a mobile application. According to the requirements, one can start or stop cooking, adjust the temperature, and can set the notification when the meal is cooked. Smart slow cookers are offered by companies such as Breville, Belkin, Hamilton Beach, Cuisinart, etc. The mobile application for each smart slow cooker is different and anyone can get the relevant mobile application from the manufacturers. FridgeCam by the Liebherr Company is a smart camera that is installed in a refrigerator. When connected to a smartphone, it sends the live photographs of the content inside a refrigerator. Hence, when you go for shopping and forget the list of products, you can simply look at your refrigerator through FridgeCam. It recognizes various food items and also indicates the expiry dates. Liebherr is a company which manufactures FridgeCam all over the world. If you connect FridgeCam to a known supermarket chain, it will automatically fill up the shopping list for you. You can also place direct order for the items that are exhausted for supermarket to deliver at your home. Smart spoons and forks are now invented to help a user in losing weight by controlling the speed of eating. It vibrates when one is eating very fast. It can be connected to a smartphone via bluetooth and monitor one’s performance. 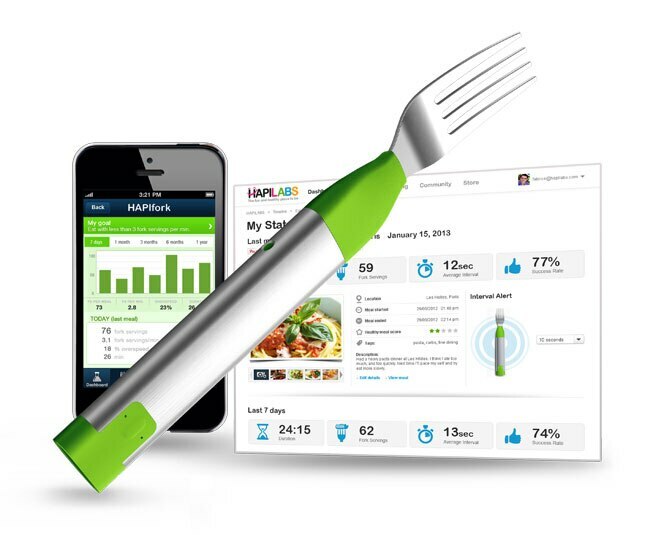 Hapifork is one type of smart fork which helps in improving eating habits and ultimately lose weight correctly. Spun is another smart spoon which notifies how much calories, a person is eating and notifies when one has reached a threshold calories intake value. A smart weighing scale is a perfect gadget for people who like baking. 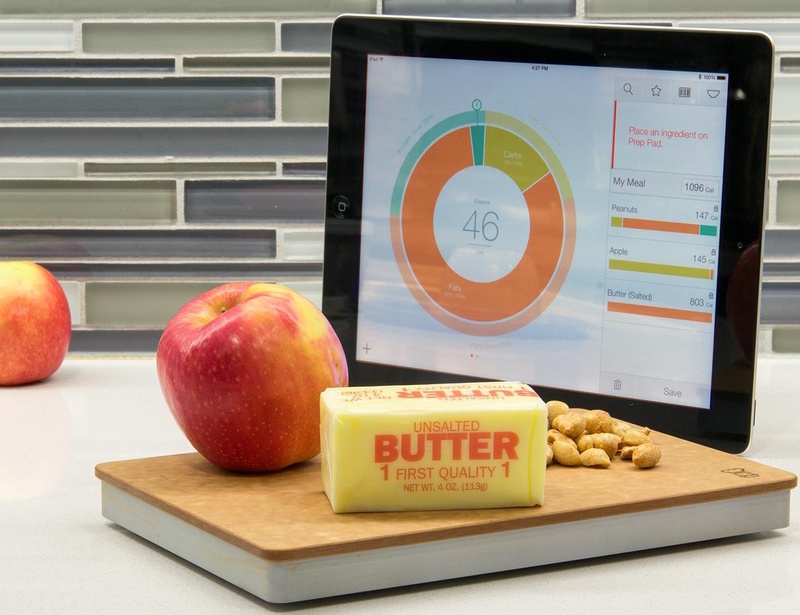 This smart scale connects to a smartphone which has the corresponding mobile application. If you forgot one ingredient of the recipe, it helps in making adjustments, offering substitutions, and provides a step by step guide for cooking. It also works as a basic weighing scale. There are many companies which sell this gadget under different names and models such as Drop, Etekcity, Nourish digital scale, Prefect Bake, Inspired digital scale, etc. The mobile application for each product is different and anyone can get it from the relevant manufacturer. Nutritional value indicators are the perfect gadgets for health conscious people or people who are dieting. They display nutritional values of the meal which is scanned or kept on it. It can be easily connected to a mobile application. It displays details such as fat content, proteins, calories, etc. of a particular ingredient. It keeps track of calories and helps you to achieve your health goals. There are many nutritional value indicators, manufactured by different companies, available in the market such as Prep Pad, SCiO, Diet Sensor, etc. The mobile application for each product is different and anyone can get it from the relevant manufacturer. A smart cup is a gadget which counts the calories of liquid that are poured into it. It also keeps the track of how much water you drink. 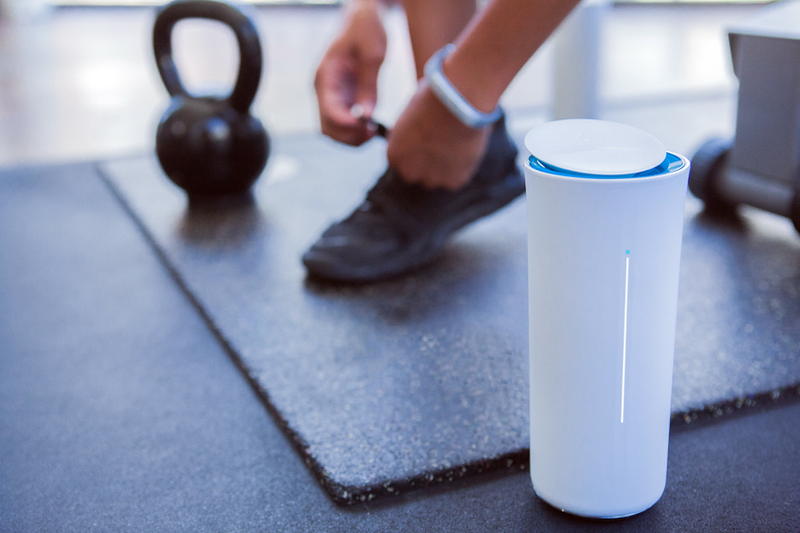 When connected to a mobile application, a smart cup keeps the record of your hydration. As per your requirements, it reminds you to stay hydrated and thus helps to improve your health. Pryme Vessyl, Ozmo, Sippo, Brita Infinity Smart Water Pitcher, etc. are some companies which manufacture smart cups. It also connects with smartwatches and trackers which are widely used for tracking physical activities. The mobile application which can be connected to smartphones and smartwatches are available with the relevant manufacturers. Coffee is favorite beverage of many people around the world. Smart coffeemaker is an essential smart gadget for your kitchen. The smart coffeemaker can be controlled through a smartphone. As you wake up in the morning, you can easily start the machine, select the flavor, and the coffee will be ready by time you reach to your kitchen. Nesspresso Prodigio Coffee maker, Bonaverde Coffee, Siemens Connected Coffee Maker, Behmor Brewing system, etc. are some smart coffee makers, which can be accessed remotely through smartphones. Also Read: 9 Tips to Pick the Ideal Coffee Table for Your Living! Smart storage containers vacuum seal the food items which are stored in them. 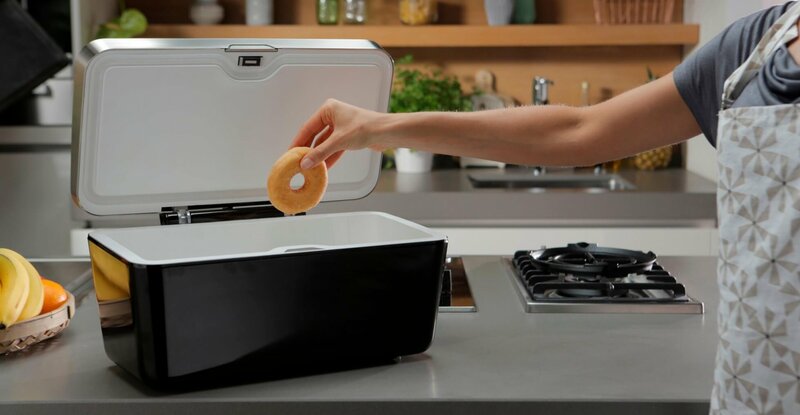 It stores your food on the kitchen countertop. Smart storage containers can store food for a longer period of time as compared to a normal container. Vacuvita Home Base is one such smart storage container which can be connected to your smartphone. The record of food will be displayed on your smartphone. It shows you the right time to consume a particular food item. This smart kitchen gadget helps in reducing kitchen waste. The relevant mobile application can be downloaded from the manufacturer. Automatic roti maker can really save your time as rotis generally take more time. The ingredients which are flour, oil, and water are to be kept in the space provided. This smart kitchen gadget can be connected to a smartphone. The user can start the machine remotely using a smartphone. The number of rotis and thickness of the rotis can be easily adjusted. The machine makes the dough and then makes rotis according to your requirements. Rotimatic, Doughbot, Wonderchef Magic Roti Maker, Bajaj automatic roti maker, etc. are some popular brands of roti maker. The mobile application for each company is different and anyone can get it from the relevant manufacturer. There are many such smart gadgets available for a futuristic kitchen. With many more connected and smart devices sure to debut in the coming years, it’s likely that we’ll be changing the way we cook and manage our kitchens. These smart kitchen gadgets help in saving time in this fast-moving routine life. Things To Keep in Mind While Selecting a Security System For Your House!